What in this for self advocates and family members. is increase in disability benefits by 50 dollars a month up to 1,800 a year starting in April,2019. A person with disabilities will now receive $1,183 per month. family based caregivers get increase and extended family get increase also child care spaces get increase. VICTORIA — Budget 2019 is creating opportunities for all British Columbians by delivering a new B.C. Child Opportunity Benefit for kids up to the age of 18, removing interest from B.C. student loans, reducing taxes for businesses, and investing in clean energy and climate solutions. 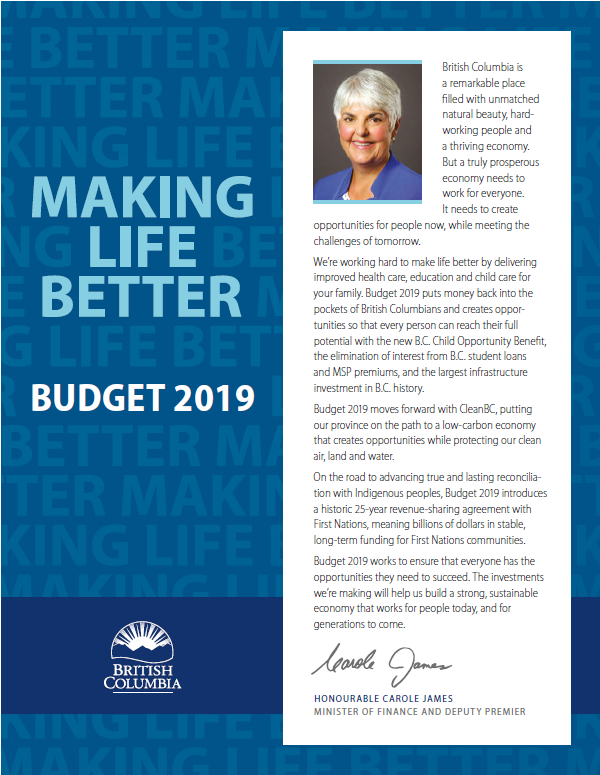 Budget 2019 makes historic investments in people and balances the budget in all three years of the fiscal plan with surpluses of $274 million in 2019/20, $287 million in 2020/21, and $585 million in 2021/22. A family of four earning $60,000 will have their provincial taxes reduced by up to 60% compared to 2016, putting more than $2,500 back into this family’s pocket. A family of four earning $80,000 will have their provincial taxes reduced by up to 43% compared to 2016, putting almost $2,400 back into this family’s pocket. A family of four earning $100,000 will have their provincial taxes reduced by up to 22% compared to 2016, putting almost $1,600 back into this family’s pocket. This year’s budget moves forward with CleanBC by investing $902 million to make sure B.C. can meet its climate commitments and to protect our clean air, land and water. This important initiative was developed in consultation with the B.C. Green Party caucus as committed to in the Confidence and Supply Agreement. Further, the Province is moving forward with more than $800 million in business tax reductions over the course of the fiscal plan to support investment in new plants, machinery and equipment, joining with the Government of Canada to boost our competitiveness. 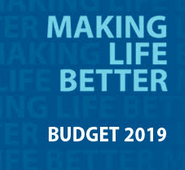 Budget 2019 continues to invest in better services for people, including improved health care, quality education and affordable, accessible child care. As priorities, the government is delivering more hospitals and shorter wait times, funding schools and thousands of new teachers, and continuing the path towards a universal made-in-B.C. child care program. Investing $26 million in income and disability assistance enhancements to the B.C. Employment Assistance program to help remove barriers to accessing support, such as removing requirements that make it harder for older adults, youth and persons with mental health issues to access the program; helping people get identification so they can access income assistance; and extending the shelter rate for those paying room and board to a family member. Making more than $20 billion in capital investments primarily in the health, transportation and education sectors — the largest infrastructure investment in B.C.’s history. 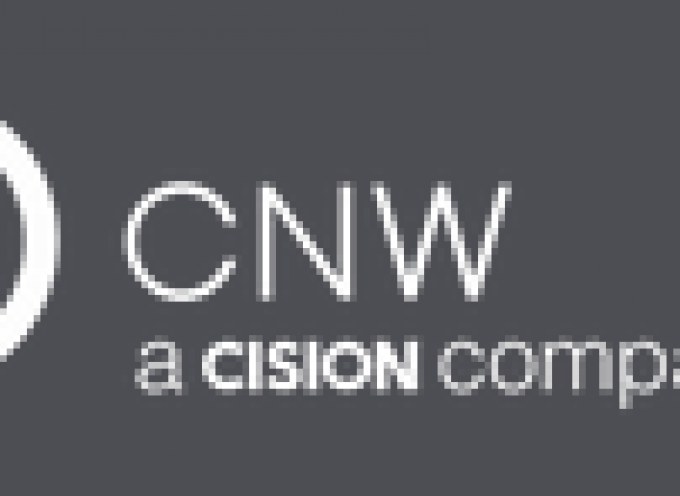 This will create tens of thousands of jobs in communities around B.C. Providing over $39 million in new funds over three years to ensure B.C.’s bridges and roads keep people and goods moving, and an additional $4 million to improve commercial vehicle safety by increasing inspection station hours and targeted enforcement. Victoria, February 19, 2019 – BC’s 2019/20 budget included many important investments to help lift people out of poverty. Unfortunately, the budget failed to meaningfully address low benefit rates that are keeping people with disabilities living in poverty. The Minister of Finance announced a small increase of $50/month to Persons with Disabilities (PWD) benefit rates. Inclusion BC is disappointed that this budget does not include the investments necessary to make the Poverty Reduction Strategy Act a success. Bringing people with disabilities out of poverty requires a significant investment to increase disability benefit rates to at least $1500 per month and index rates to the cost of living. We don’t see that investment in this budget. Inclusion BC applauds the government for introducing the new B.C. Child Opportunity Benefit which will significantly improve the lives of thousands of low-income families, many of whom support children with disabilities. 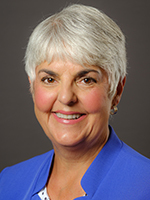 Inclusion BC Executive Director Karla Verschoor expressed concerns about the budget for Community Living BC, where again there is a very modest annual increase of 66 million. Inclusion BC was pleased to see a long-overdue rate increase for shared living providers and foster parents. This will address the challenges that many agencies have faced in finding shared living providers in their community. Unfortunately, the budget failed to include a portable rental supplement, similar to the seniors SAFER program, to help people with disabilities access safe, affordable housing outside the home share model. A portable rental supplement would allow people with disabilities to access a broader range of housing options, including private market rental units. 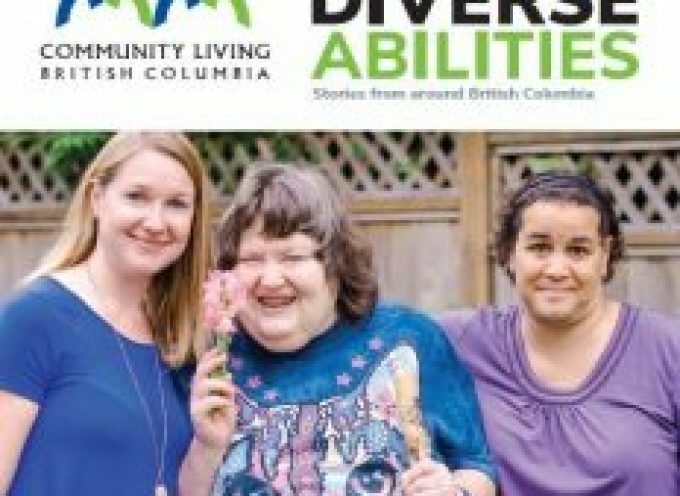 Inclusion BC hopes to see this addressed in the federal budget next month. We were pleased the budget moved forward on Grand Chief Ed John’s recommendation to align the support payments received by extended family, including grandparents who support children and keep them out of foster care. Children with special needs are disproportionately represented in the foster care system and this will give many families the option of having their children cared for within the extended family. BC’s 2019/20 budget included many important investments to help lift people out of poverty. Unfortunately, the budget failed to meaningfully address low benefit rates that are keeping people with disabilities living in poverty. This post expands on our news release from Budget Day, providing more detail and context. The Minister of Finance announced a small increase of $50/month (effective April 1, 2019) to Persons with Disabilities (PWD) benefit rates. Inclusion BC is disappointed that this budget does not include the investments necessary to make the Poverty Reduction Strategy Act a success. Bringing people with disabilities out of poverty requires a significant investment to increase disability benefit rates to at least $1500 per month and index rates to the cost of living. We don’t see that investment in this budget. The budget announced improvements to disability assistance program, including extending the shelter rate for those paying room and board to a family member. Inclusion BC is concerned about the budget for Community Living BC, where again there is a very modest annual increase of 66 million. This investment slightly exceeds the increase in demand for services. The budget increase is approximately 7% and demand projections for services are estimated to be 5.2% plus approximately 100 people currently waiting 6 months or more for services. These individuals already have a PRT (priority ranking tool) score of 50 or more. It is CLBC policy to provide services within six months for individuals with a PRT over 50. Inclusion BC was pleased to see a long-overdue rate increase for shared living providers and foster parents. This will address the challenges that many agencies have faced in finding shared living providers in their community. 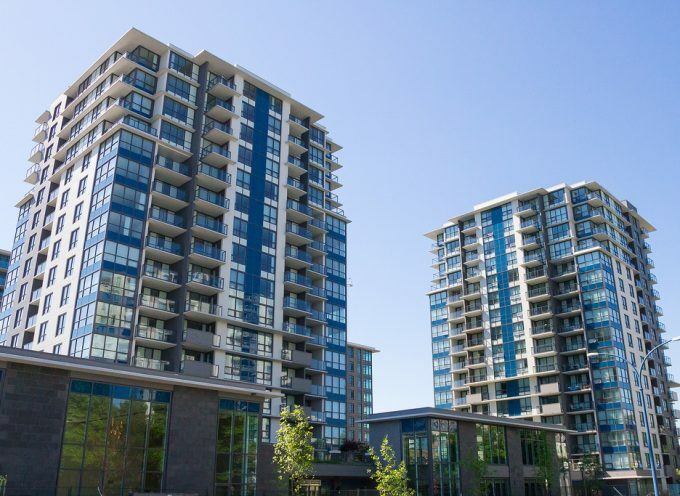 The province announced $45 million over three years for home-share providers, with $9 million allocated for the 2019/20 year. The exact amount and timing of the roll-out has not been announced. Inclusion BC focused our housing ask in pre-budget consultations to portable rental supplements. While housing investments were announced in the budget (including the construction of 200 modular houses), they did not put forward innovative ways to address the housing crisis faced by vulnerable groups such as people with intellectual disabilities. A portable rental supplement would help people with disabilities access safe, affordable housing outside the homeshare model. A portable rental supplement would allow people with disabilities to access a broader range of housing options, including private market rental units. We hope to see this addressed in the federal budget next month. BC Transit and Handydart together received a budget lift of $21 million over three years to expand services in 30 urban and rural communities outside Metro Vancouver. It is unclear what this expansion will look like, as the funding allocation to Handydart was non-specific. While momentum has stalled in investments in adults with disabilities, there were some significant investments that will make a difference in the lives of children and families. Inclusion BC applauds the government for introducing the new B.C. Child Opportunity Benefit which will significantly improve the lives of thousands of low-income families, many of whom support children with disabilities. This benefit will replace the early childhood tax benefit which provides families with up to $660 annually per child under the age of six. The new benefit is higher (one child $1,600, two children $2,600 and three children $3,400) and will be paid until the child is 18. The benefit is income-tested. This means that family caregivers will receive a 75% increase in support payments to be equal with foster caregiver compensation, which was also increased by an additional $179 per month. Families of children with disabilities will see a small increase of 10% in the amount of respite funds they receive. An annual investment of $6 million was announced within the budget to cover this increase and to reduce the waitlist for respite services. An investment of $74 million over three years will support new, integrated services that address mental health and addictions for children, youth and young adults. This funding will be targeted to implementing a coordinated system of support and development programs for young children, school based wellness programs and early intervention for students with early signs of mental health challenges. Funding will also expand the number of Foundry centres. MCFD received a budget increase of $94 million over 3 years to support children and youth with special needs and children in residential care. The autism and medical benefits program is included in the increase, receiving the remaining $11 million annually. The ministry of Education received an investment increase of $550 million over three years. This includes $182 million for 2019-2020 and $58 million over three years to cover the Supreme Court ruling on class size and composition. In the provincial budget released today there is an additional $66.5 million in funding for CLBC to support people with developmental disabilities. This includes $8.8 million this year ($45 million over the next three years) to improve funding for home sharing providers. This is a vital service that supports more than 4,000 people to live in their communities. Letters will be going out to Home Sharing providers in March 2019 to explain the details and how the new funding will impact them. There is also funding to provide new or increased supports for the people CLBC serves. About 900 to 1,100 people become eligible for CLBC services each year. Those eligible for services have grown from 12,735 in 2010 to 21,128 as of March 31, 2018. To understand how CLBC makes funding allocation decisions for individuals who have requested disability-related services, please visit our web site here. CLBC funds and monitors support services to adults with developmental disabilities in British Columbia. CLBC also serves individuals with Fetal Alcohol Spectrum Disorder or Autism Spectrum Disorder who need significant help with daily tasks. Services are provided through a network of service providers and include employment, community inclusion, housing and respite supports. Thanks to ongoing funding, CLBC has been able to fund more services each year and make key improvements. To support a goal of improved relationships, CLBC last year launched a more user friendly web site, as well as a series of new welcome workshops for individuals and families. CLBC is also working on projects to improve services for individuals with mental health and other complex challenges, to increase employment rates, and to improve contracting processes and the monitoring of services. To learn about CLBC’s priorities for 2019, you can read CLBC’s Mandate Letter here. You can also read CLBC’s Annual Service Plan here, and CLBC’s Strategic Plan here.